The musician's personal physician Michael Farzam told police that his 39-year-old patient was "acting erratically" due to sleep deprivation and dehydration and he was concerned about his well-being, the celebrity gossip website TMZ said. He was taken from his personal trainer's home to UCLA Medical Center handcuffed to a gurney, as is standard procedure for psychiatric patients, TMZ said. The "Fade" rapper's health scare took place after he abruptly cancelled the remaining 21 dates of his "Saint Pablo Tour" on Monday following a rambling onstage tirade at the weekend against fellow artists Jay Z and Beyonce. His wife, reality TV queen Kim Kardashian, was due to make her return to the public eye on Monday night for the first time since she was robbed at gunpoint in Paris in October. But she reportedly cancelled her plans and rushed to her husband's bedside. Meanwhile several celebrities came out in support of West on Tuesday with singer John Legend saying he could tell the father-of-two wasn't doing well when he saw him recently. "We were with Kim actually, you know, right before all of that," the fellow musician and friend told US television, referring to Kanye's hospitalization. "I was concerned by what I saw, so hopefully he's getting some rest and some time to figure things out." He did not elaborate on West's condition. 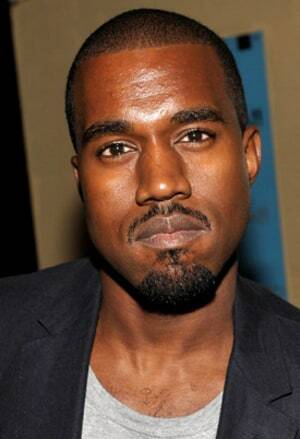 "Hey @kanyewest, get better man! People are making jokes right now, but having been there myself, I hope he gets the help he needs," Hirsch tweeted. "And I hope u all pray for @kanyewest too. He's not just an artist but he's a father, a son a husband and above (all) human. Get well soon," one tweet said. President-elect Donald Trump, sparking angry fans to boo the star and throw items on stage. "I hope Kanye West feels better, I also hope he'll realize that no white supremacist is worth adulating," she tweeted. Since August, West has performed around 40 dates in Canada and the United States, rapping above the stage on an innovative "floating" platform. West has not spoken publicly about the incident but TMZ quoted a source as saying time spent away from family had added to the rapper's stress. He canceled several dates the following week but made a comeback in his hometown, Chicago, and performed without incident until a show in Oakland on October 22 where he described the Grammys as "rigged."